The G.I. 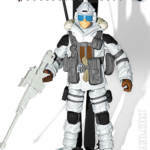 Joe Collector’s Club revealed their latest FSS figure, Blizzard! Blizzard led an experimental security team based at Thule, Greenland for an entire winter. Their objective was to determine what kind of training and conditioning worked best to prepare men for combat in Arctic conditions. They found that training and conditioning had little effect. Only the hardest and meanest men made it through the course, and Blizzard was the hardest and meanest of the bunch. HissTank.com forum member and Master Sigma 6 Customizer Vanishing Point has shared 3 of his latest creations with us here on the HissTank.com Customs Forums! First up his a stunning Sigma 6 style Baroness figure. She’s looks perfect, down to her signature sunglasses. 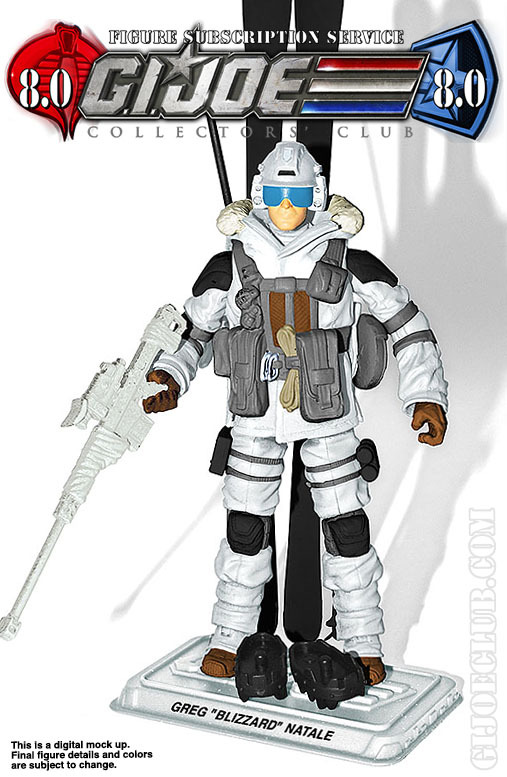 Next is a figure who we just visited in Modern Era form, the G.I.Joe Arctic Assault Specialist, Sigma 6 Blizzard! 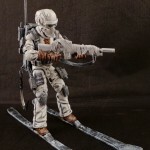 He may not have his sled pack, but this Sigma 6 version is top shelf! Finally and my personal favorite of the 3 is a Sigma 6 Cobra Toxo-Viper! VP has done a great job of capturing this character’s personality in S6 form. Make sure to visit all three threads and share your thoughts by clicking on each characters name above! 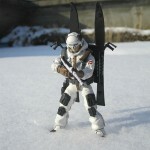 Check out this fantastic Custom Modern Era G.I.Joe Blizzard by HissTank.com forum member Nirvana7! If you take a look around our forums, it’s no secret that Blizzard remains high on the list of figures who are long past their due in modern era form. nirvana7’s custom is a perfect representation of what an update of this character should look like! Nirvana has shared quite a few images of this awesome custom, so make sure to check them all out after the break!